Call to Artists!! 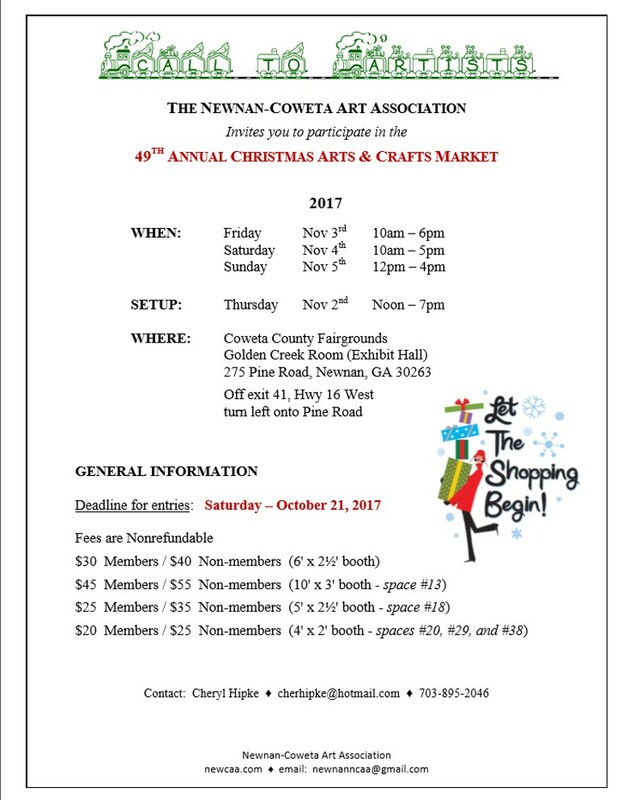 The 49th Annual NCAA Christmas Arts & Crafts Market is coming! See the Rules & Regulations and fill out your Application Form today to reserve your space at this popular event! The public is invited to join us as refreshments are provided for a relaxing shopping experience and great art & craft pieces are on sale just in time for finishing off the Christmas list!